Home › Ladies of a Certain Age Running (LCA) › A cheeky PB, off plan but worth the buzz..
A cheeky PB, off plan but worth the buzz.. 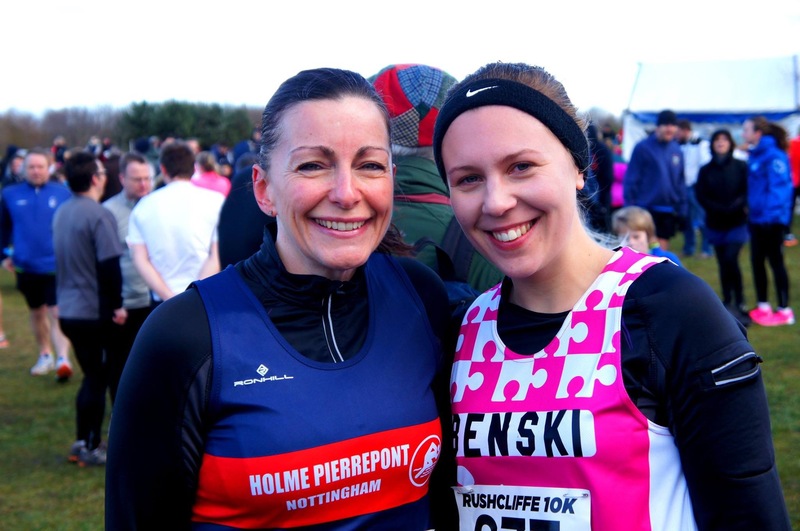 The Rushcliffe 10km, it’s my annual pilgrimage to the local country park, the home of my first ever race, my first ever 10km, my first outing as a ‘runner’ . Now it just has be done, I’m curious to know how many years I can keep it up ….who knows, this LCA might run it aged 80, who knows ? I should have pulled a long run in, I’m acutely aware of getting from 10 to 20 miles in 4 weeks to be ready for the Ashby 20. It’s like a nightmare hanging over me. Running buds assure me I can do it, just very slowly, so each week needs to be 12 miles, 15 miles, 17 miles and 20 on the day! It’s a serious run I think, the usual thought crosses my mind, what if I’m last. I’ve decided that 10.5 minute miles will get me through the long distances. It’s taken a while to slow down. I’m a 9/9.5 minute mile runner at easy pace, just over 8 when I’m pushing it, so slowing to 10.5 feels like walking but it’s got to be done if I stand a chance of the mileage. It would be a 4.5 hour marathon, that’s not too bad. So penance for missing the long Sunday run was a 12 mile route on Monday after work. It was cold, it was dark, it was really heavy traffic and I probably inhaled enough fumes to kill an asthmatic. That’s a female runners dilemma; where is it safe to run alone? Visibly along traffic filled routes ( you could be spotted, tracked and bundled into the back of a van) or off road, lonely but who’s there to see you ? I went for visible. My legs were actually tired from pushing it on the 10km, but lets face it, I need to get used to running when my legs have ‘had it’ . A new level of discomfort is what I’ve got coming over the next 7 weeks! Along the A52 at 5.45pm was horrific, noise, fumes, headlights…..I paid my dues for missing the miles Sunday. So back to Rushcliffe 10km, it’s the event where many of the south of the river runners dust off their trainers and get back on track from Christmas. There’s plenty of beginners, its not too ‘club serious’ like some local events and it’s a limited field of about 750 runners ( it’s always sold out by the end of January). Ellie and Susie were running too, Susie rather out of practice at the distance so in at the deep end. I’d threatened to enter Varsha as a Christmas present to try and give her a new target and break a two year running rut, but I thought better of it ! My niece entered, a novice runner, I’d like to think she’s yet another person I’ve encouraged to join the running flock. With a 10km under her belt from last year,she was running for her mum and Breast Cancer Care so all in a good cause. Now I’m not competitive ( no one who actually knows me believes that for one second !! ) but a family member on the start line is a new concept. Added pressure, she’s my niece and 22 years younger than me and aiming for 55 minutes, should it bother me……..hell yes! Was I in it for a PB? Why not. It was sunny but deceptively cold and very windy, it’s the first time I’ve relished the cheesey warm up and embraced it enthusiatically. There were a few things missing this year, no inflatable starting arch (too windy? ) , no ‘one man band’ on the lonely back straight of the park which is always welcome as no spectators reach to those more lonely paths. It’s always the same chap, is he well, has he hit the big time, has he retired, or have council cuts extended to such important services? Are we that hard up in Rushcliffe ? I’m better at pushing myself now and staying at that level of ‘controlled discomfort’ that you read about. I start near the front with the club runners (how bold and daring I’ve become) I thank Holme Pierrepont for giving me that. They field some fast ladies (LCAs no less) , I tried to keep up but I’m an HPP tortoise. 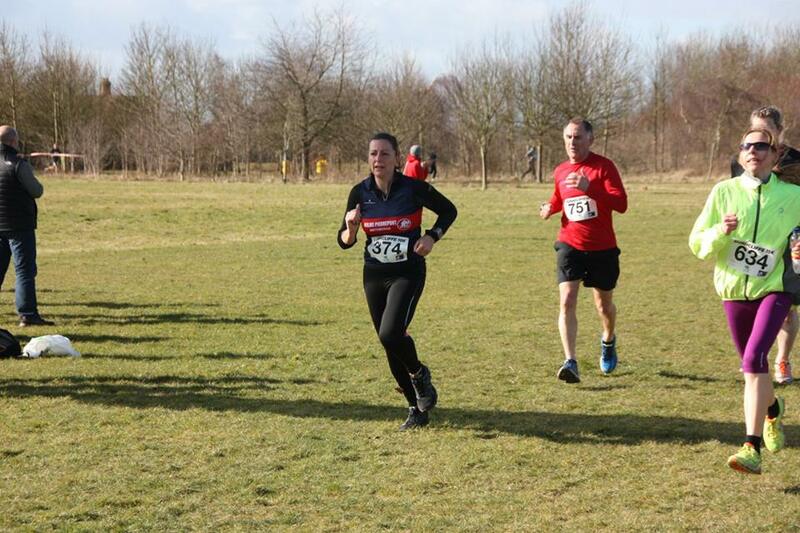 The cold wind turning onto the back straight at the 5km and final turn to the finish was like a slap the face. You could almost hear runners groan as they turned into it. I kept the pace as best I could, I was desperate for sub 50 ( 49.59) would have been awesome……but it evaded me by a whisker coming in at 50.14 a PB at 10km also by a whisker !! Based on the weather I was pretty chuffed with that. For the first time I lapped the back of the pack as it’s a 2 lap race, I’ve never done that before. What a change over the years , I remember getting lapped by the winner the first time I ran it 6 years ago so I’ve come on a bit. I still boosted the pace a little to cross the line. I grabbed my goody bag, water, banana and medal. ( it used to be a crap T shirt so some things have improved ). I walked back up to the finishing straight, was I in first of my little pack of pals and relatives? Obviously I’m not competitive! It doesn’t matter……..but I was first in, enough said ! Ellie and Susie rocked in at 1.025 which they were gutted about, not beating the hour mark. Ellie PB’d last year at 53.40, so agreeing to run with someone is tough! Its a week that ended on a high but the mileage ramps up from now, distances I’ve never gone. The finish line has always been at 13.1 …….. That’s now just not good enough ! ‹ Did I miscalculate ? ?